KPTV offices and studios at 735 SW 20th Place when they broadcast on Channel 27. KPTV’s tower and transmitter building in Healey Heights were built between August 5 and September 20, 1952. This view shows the first KPTV studio before the building at 20th Place above opened in 1953. *KPTV signed on the air September 20, 1952 on channel 27, as Oregon's first television station, as well as the world's first commercial TV station on the UHF band. It was owned by Empire Coil of New Rochelle, New York. As Portland's only TV station at the time, KPTV carried programming from all four networks: ABC, CBS, NBC and the now-defunct DuMont Television Network. 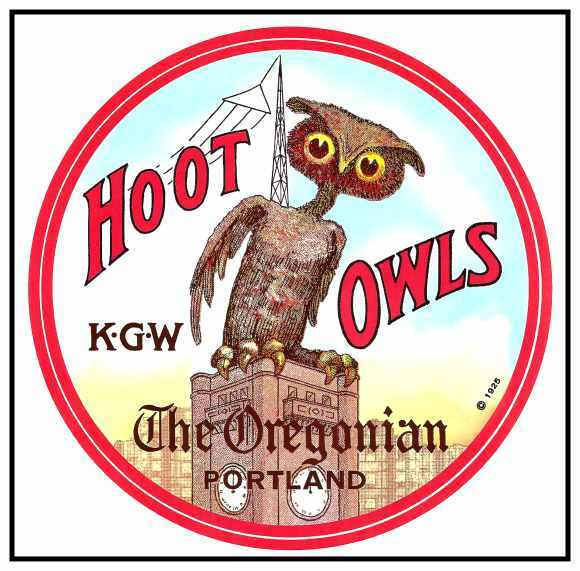 CBS disappeared from KPTV's schedule when Portland's first VHF television station, KOIN on channel 6, signed on October 15, 1953; at that point, KPTV's primary affiliation became NBC. Empire Coil sold KPTV and its other broadcasting property, WXEL-TV (now WJW-TV) in Cleveland, to Storer Broadcasting on November 17, 1954. The channel 12 allocation was at first occupied by KLOR-TV, which signed on March 8, 1955 as an ABC affiliate. The ABC affiliation on KLOR lasted a little over a year and a half. When KGW-TV (channel 8) signed on as a full-time ABC affiliate December 15, 1956, KLOR became an independent station. On April 17, 1957, KPTV and KLOR came under common ownership when Detroit businessman George Haggerty purchased KPTV from Storer and KLOR from its local owners. Both KLOR channel 12 and KPTV channel 27 signed off the air April 30, 1957. The following day, the two stations merged under KPTV's license and call letters, using KLOR's channel 12 assignment. The channel 27 allocation was later used by an independent station with the call letters KHTV, which was on the air for less than four months, from July 6 to October 31, 1959. (The KHTV calls were later used on Houston's Channel 39, now KHCW, a CW affiliate. KOPB-TV, Portland’s PBS affiliate currently uses the channel 27 allocation to broadcast the digital signal of PBS programming in the metropolitan area. On April 26, 1959, KPTV swapped affiliations with KGW, becoming an ABC affiliate. Later that year, on September 1, KPTV was sold to the NAFI Corporation, which then purchased Chris-Craft in early 1960; the merged NAFI/Chris-Craft companies became known as Chris-Craft Industries. On March 1, 1964, KPTV lost its ABC affiliation to previously independent KATU. The station sued ABC and Fisher Broadcasting for breach of contract. The proceeds from the settlement went to rebuild the station into a color facility. A color mobile unit was also purchased as well. Soon KPTV went on to become an independent station. The station's long-running news program, The 10 O'Clock News, launched in 1970. 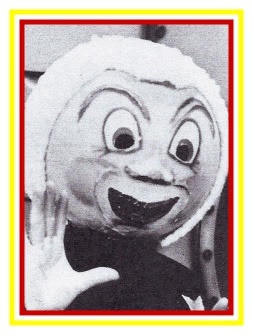 KPTV was the first local station to broadcast the Portland Trail Blazers from 1971-1978. Jimmy Jones was the first play-by-play announcer. He was also KPTV sports director at the time. KPTV was one of Fox network's original charter affiliates in 1986; however, the station disaffiliated from the network in 1988 and reverted to its independent status. The Fox affiliation ended up on upstart KPDX 49. KPTV once again gained a network affiliation in 1995, as Portland's UPN affiliate, (and the network O&O under United/Chris Craft's stake). Chris-Craft sold most of its television holdings, including KPTV, to News Corporation in 2000. Instead of keeping KPTV, News Corp. decided to trade it to Meredith in exchange for WOFL in Orlando, Florida. This move gave Meredith, which already owned KPDX, the first "duopoly" operation in the Portland market. Meredith decided to move the Fox affiliation to the higher-rated KPTV. As a result, an affiliation switch occurred in 2002, with KPDX becoming a UPN affiliate, and KPTV becoming a Fox affiliate once again. KPDX's news department was merged into KPTV's newsroom (although KPTV's operation actually moved into KPDX's newer facility, located in Beaverton), and KPDX's existing 10 pm newscast was cancelled. KPTV chose not to air Fox's children's programming (4Kids TV; formerly Fox Kids), which remains on KPDX. On June 5, 2007, KPTV became the second Portland TV Station to broadcast its daily newscasts in widescreen. John Lewis can be seen as the announcer at KPTV channel 27, and the engineer at the audio console is Holt Cookingham. Thanks to Darryl Conser for identifying the staff in this early view of the KPTV control room. Darryl was at KOIN-TV from 1963 to 1976.